So, it is critical for every Magento store owner to build or convert their Magento site into a Magento Mobile App for business growth, profitability and acquire customers retention year over year! To build a Magento Android app or magento iOS app is something which most of the ecommerce store builders suggest to do. Why is that? 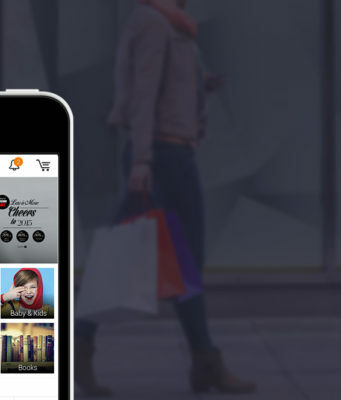 A magento mobile app can be the gateway to explosive eCommerce success. With every 7 out of 10 shoppers using mobile apps for online shopping, it can be said without any second thoughts that apps have started to become a predominant business tool especially in the eCommerce arena. That being the case, it is vital to create a mobile eCommerce app equipped with superior functions for your eCommerce store. Here in this post, we’ve rendered a helping hand to get the best possible Magento Mobile Application Development solution that can inspire you to showcase your brand name worldwide soon and guarantee of uncompromising execution. Where to start – How to Create a Magento/WordPress/OpenCart Mobile App for Magento/WordPress/OpenCart Store? BeamStacks provides readily built solution to build Magento/WordPress/OpenCart mobile apps for Magento stores. This platform encourages you to make a Mobile App for your Magento Store. Plus, it also works smoothly on world’s two most popular mobile platforms, i.e. Android & Ios and helps you link your existing Magento Store to the Magento mobile apps and publish them on the respective app stores. We provide fabricated utilizing advanced yet hybrid technology, which gives customers an unparalleled user experience across all devices as well as platforms such as Android & iPhone, tablet or laptop. Be it discount coupon, deal, alert, sale or reminder, This push notification feature enables dealers to send dire notification or alarms to their clients. With our app, payment transaction will be no more uphill task for customers. As, it is built to support multiple secured payment gateway such as PayPal, MasterCard, VISA, American Express, Discover Network and more, to make the payment transaction process safer, easier and smoother for your customers. This feature will ensure you that both of your sales channels, i.e. M-commerce app and E-commerce store, are in perfect sync. Not only this, store admins also get a chance to maintain an unscathed connectivity between their customers as well as stores. Our app is built for adaptability! As, each store owner has diverse prerequisites, for example, an arrangement of items, outline, topic shading, general store look and more. So this feature of the particular Magento mobile app will come a long way and put functional and cosmetic changes at ease. Apart from this, it comes with an extraordinary space for customization to meet the necessities, compatibility and application interface requested by a dealer! In built social login feature makes sure that your potential customers directly connect to an online store through social networks (including Google and Facebook), without diversion. 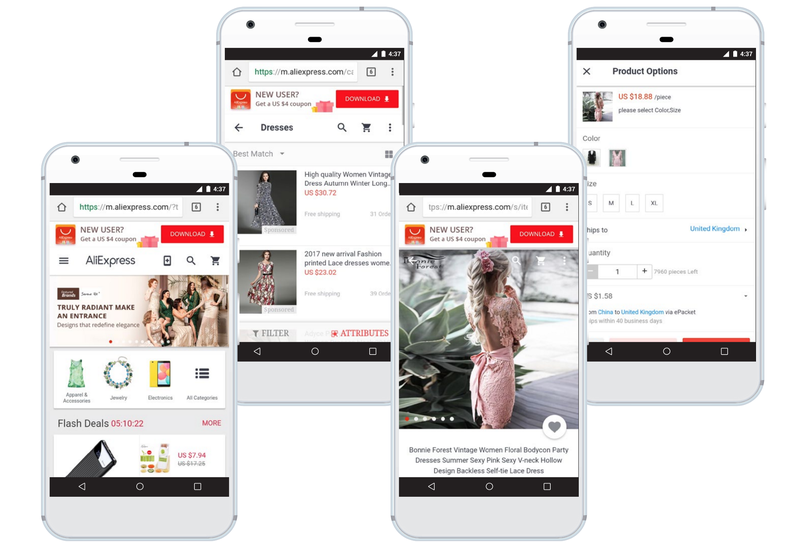 This app is completely responsive that enable store owners manage their complete mobilized store with flexible and intuitive backend control. Customers are more likely to purchase if they get a clear image of what they are actually buying. Thus, this feature will help store owners to show products in more enhanced ways through the our Magento mobile app. What extent does it require to setup your store into a Magento Mobile App? Our Magento mobile app should ideally take 2-to-3 days to be created and submitted to the application store. Though, if you want to go for a paid Magneto mobile app version, then the duration could increase, but with 1 year free updates for app features. You can check the complete detail of the our mobile app on https://www.beamstacks.com/ecommerce-development-company-usa or contact us at contact@beamstacks.com. We at BeamStacks have a qualified yet Certified team of Magento Developers, who introduced this Magento Mobile App, aiming to help Magento store owners to shape their business or magento stores through our exclusive magento mobile app on their own. Now, avail this Magento Mobile App here at our online Ecommerce store within your budget only!